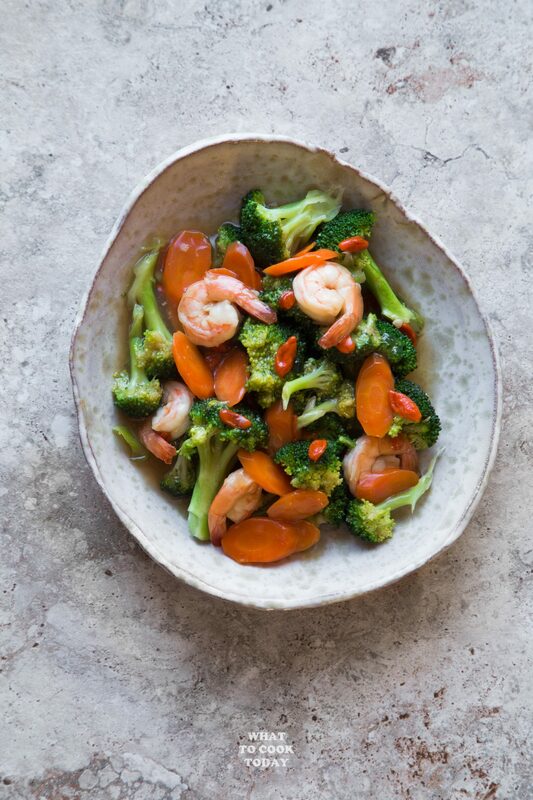 Broccoli Shrimp Goji Berry Stir-fry – Broccoli, shrimp, and goji berries are stir-fried and smothered in thick savory gravy to accompany Pot Stickers and Fried Rice from Ling Ling. 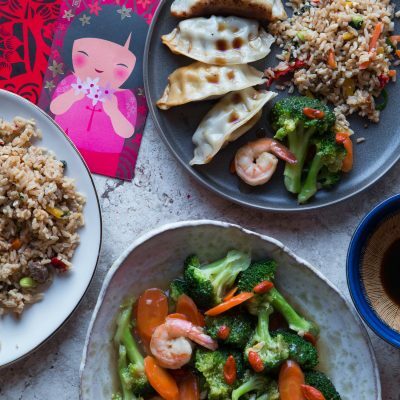 Delicious Chinese New Year dishes made easy. Chinese New Year brings so many memories for me as a kid. My siblings and I love Chinese New Year. My mom was often the busiest one in the family. Food to prepare, house to clean and decorate and other details to take care of. Mom used to prepare 10 dishes for the feast on Chinese New Year’s Eve. She literally slaved herself at the kitchen all week long to prepare and churn out all those delicious food. As a kid, we love it because we get to wear new clothes, eat great food, and collect red envelopes (filled with money!) from our parents and other married adults (What not to love right?). Now that I’m a thousand miles away from my family in Asia, you can imagine how much I’ve been missing all these traditions and the Chinese New Year atmosphere. Now with a family of my own and two kids, we have been celebrating Chinese New Year every year because we want to give the kids the Chinese New Year experience too. Few of the things I usually do to celebrate Chinese New year here are: clean the house, buy new clothes to wear for the first day of Chinese New Year, home-cooked dinner for the Eve’s of Chinese New Year, and hand out red envelopes to our kids. I have to say though, the food is really one of the big parts of celebrating Chinese New Year for us. 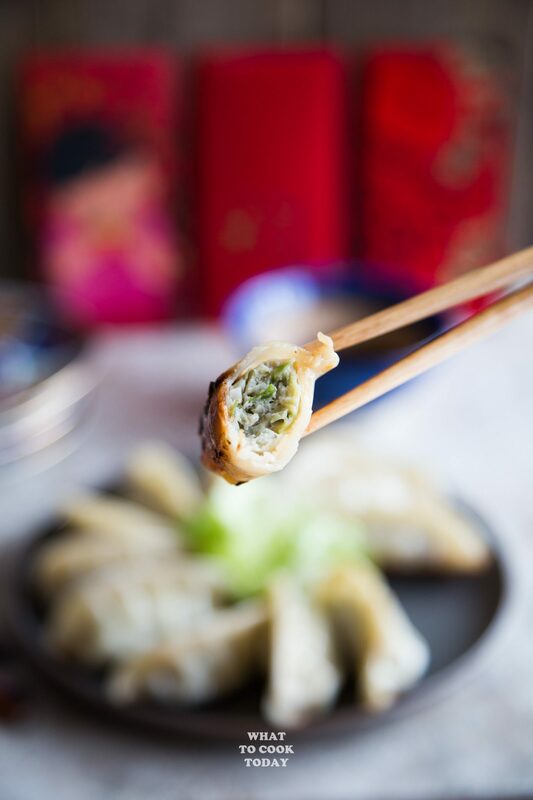 Pot Stickers are one of my favorite Chinese New Year dishes. 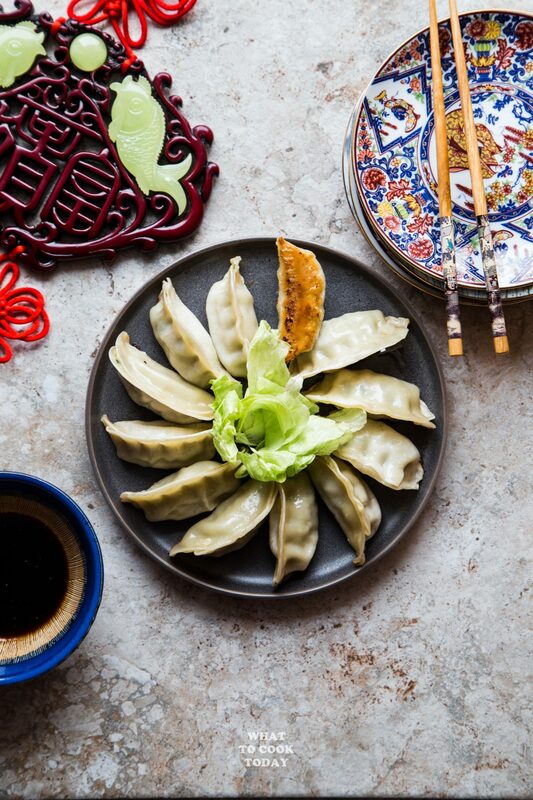 Pot Stickers or what we call Jiao Zi in Chinese represents prosperity because they resemble gold ingots 🙂 The Chinese usually serve food that has good meaning to greet the new year. 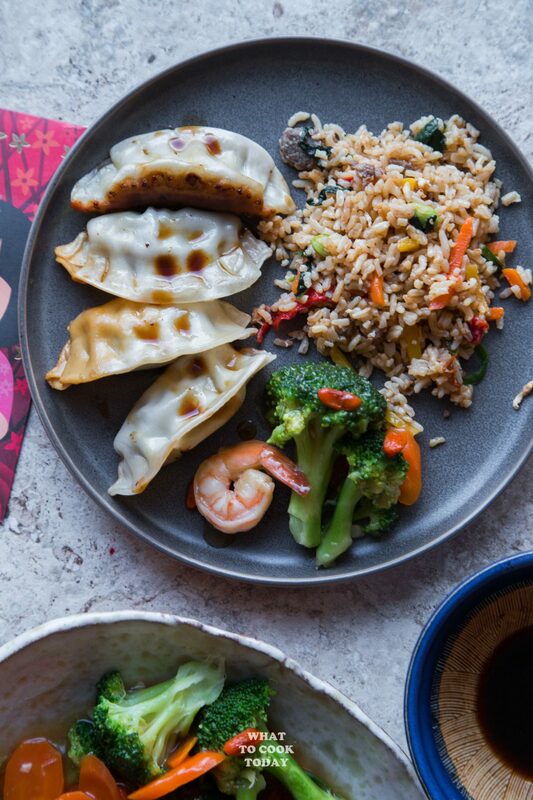 These Pot Stickers you see here are from Ling Ling Asian Food. 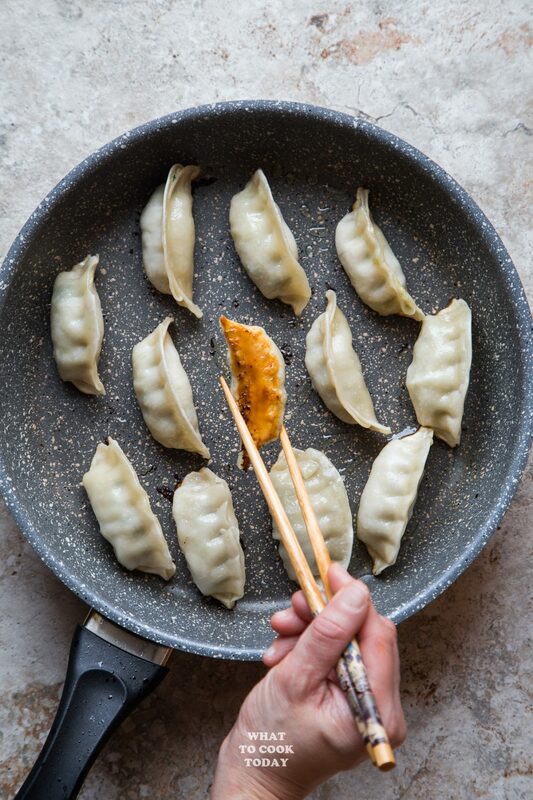 They are so delicious and like the traditional pot stickers, crispy on the bottom!! The pot stickers also come with Ling Ling signature dipping sauce. Simply delish! 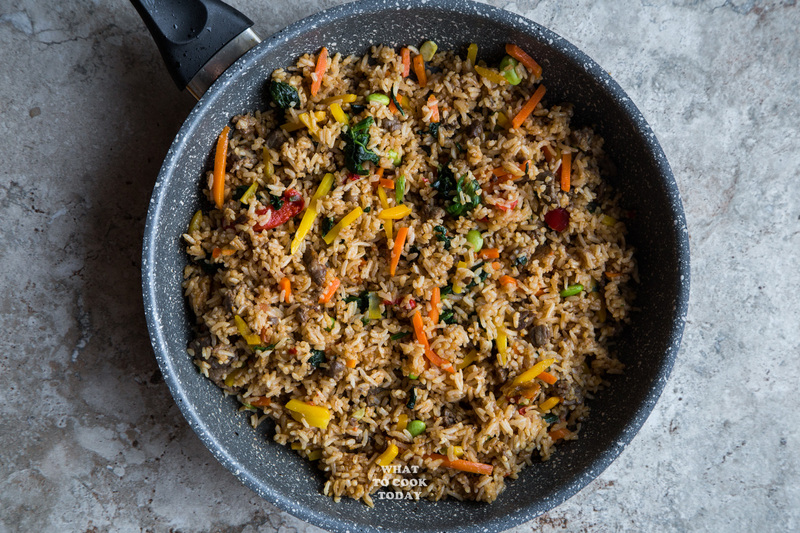 Another Entree that I tried from Ling Ling Asian Food is this Fried Rice – Bibimbap Beef. This also received rave reviews from the family. 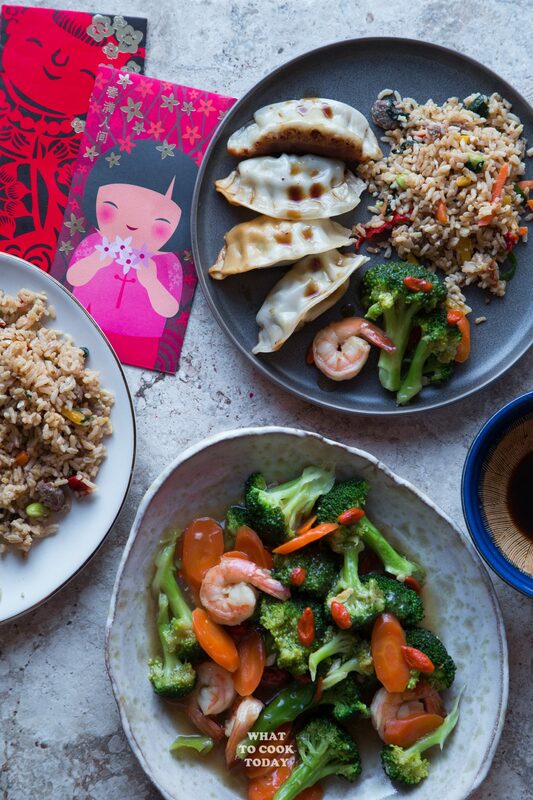 Ling Ling Asian Entrees deliver that great authentic taste that will transport you to Asia. 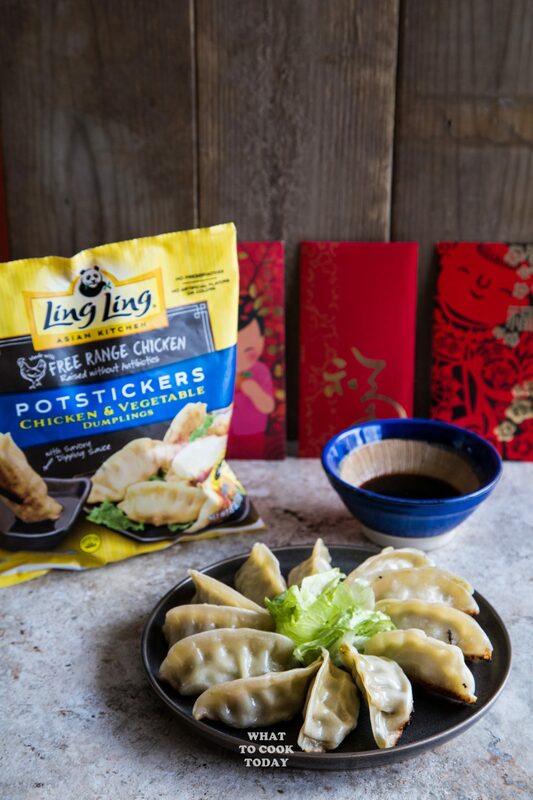 Ling Ling has a great collection of recipes from China, Korea, Japan, and Thailand to let you experience the food from those regions. We were definitely happy campers with the meal we had! 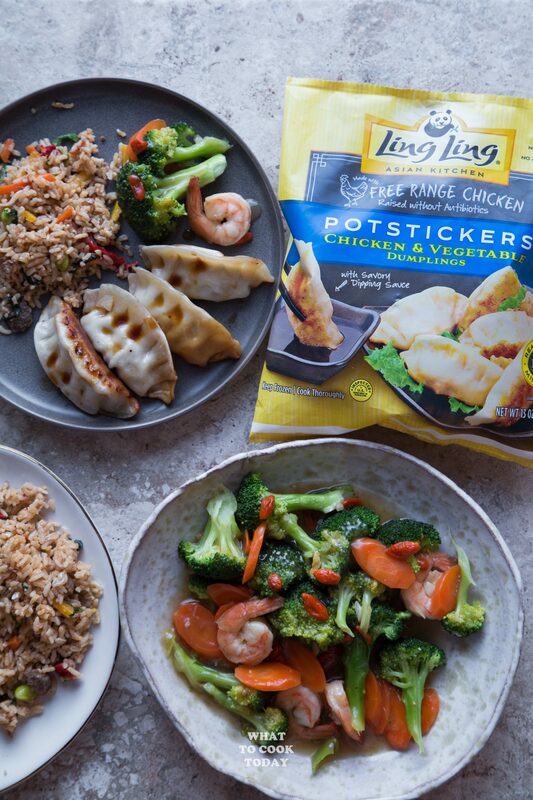 It might seem like I did a lot of work in the kitchen making the pot stickers, fried rice, and the broccoli shrimp goji berry stir-fry, but thanks to Ling Ling for making things convenient and yet giving us delicious tasting Asian food! 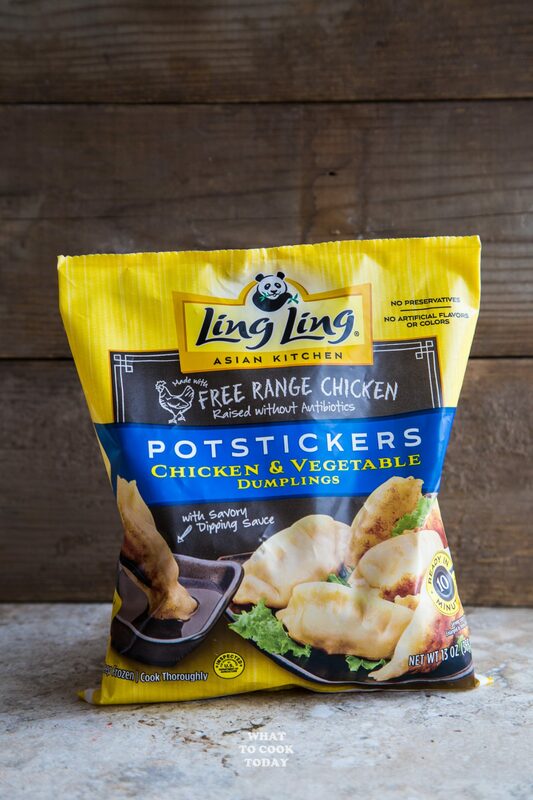 You can use this Store Locator to find out where to buy Ling Ling Asian Food. 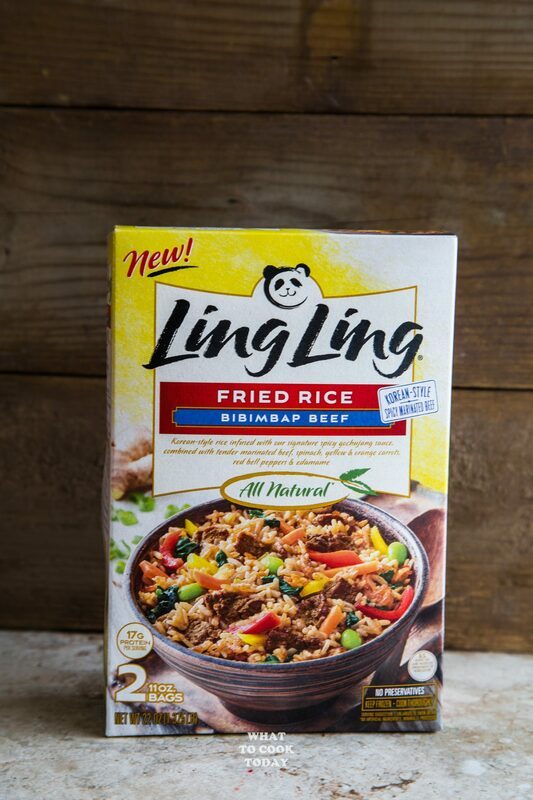 What is your favorite from Ling Ling Asian Entrees? I love pot stickers!! We use to eat them often when we were in the US. Have to still find them in the super here. This looks so delicious.. goji berry sounds wonderful. GOJI BERRY STIR-FRY an interesting name and new recipe for me, looking so delicious. yummyyy! Thank you Steave. You should try goji berry in stir-fry. It’s pretty common in Asia actually.